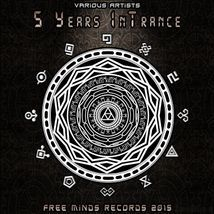 At the past 22nd January, Free Minds Records celebrated its half of a decade of existence in the psychedelic trance music scene. In order to commemorate this happening we will unleash our biggest compilation ever. Bringing you the best gift we could offer in order to thank all our fans and followers through this five years of learning, work and improve it, day after day. Hope you like it, Free Minder. Exclusive Stuff Page under extensive updates.